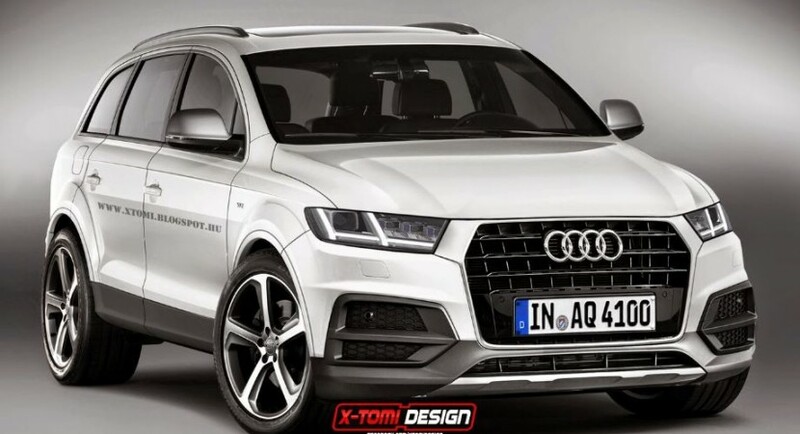 The upcoming Audi Q7, which will be unveiled as the 2016 year model, has been recently launched online in a rendering signed by the famous designer X-Tomi Design, which showcases the looks of the future Q7. Perhaps the Audi German based premium carmaker will have plenty of inspiration to dress-up the future Q7 from this rendering, as is showing us an appealing model with an appealing looks, coming with some retuned design lines and interesting features. We are talking here about some make-overs at the front fascia, which now includes a revised single frame grille, LED daytime running lights, blacked-out front air intakes and much more. Moving under the hood, the 2016 Audi Q7 will take over some petrol units from the A7 and A8 models, adding some new choices in the diesel section, like the 3.0-liter V6 TDI in the entry- and mid-entry level versions, while the RS version will underpin the 4.0-liter V8 turbo-charged unit. And since the plug-in hybrid versions are fashionable these days, the 2016 Audi Q7 will also receive one in the near future.